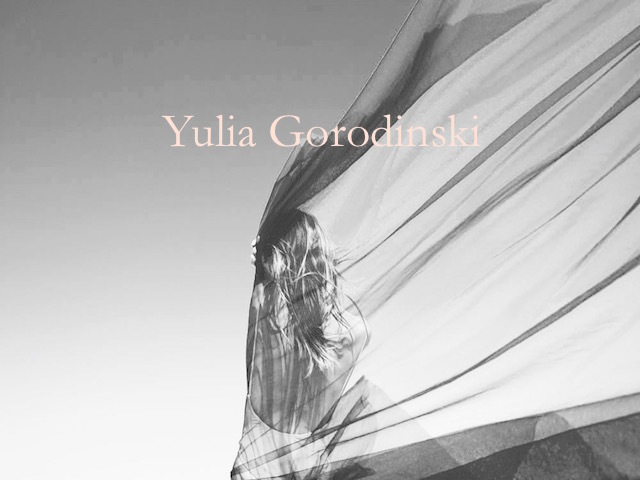 Born 1984 and based in Israel, Yulia Gorodinski’s work has appeared in many publications internationally. She was recently voted UK Photoboite’s Women Photographers 30 Under 30. After studying English Literature at The Hebrew University of Jerusalem, Louise Leverett finds out how she evolved into the artist she is today. LL: I look at your work and to me, it seems like this has been waiting to be created by you your whole life. It oozes story telling by a person who obviously has something to say. So at what point did you decide you wanted to be an artist? YG: I never intended to become an artist, never thought of it. It all happened spontaneously. One day somebody sent me a link to a photo sharing site, I started browsing and discovered interesting photographs that were female self-portraits. I realized I didn’t need a photographer and with digital camera and a tripod I can do everything myself, that’s how my adventure started. LL: Did anyone influence you or make an impact on your work during that time? YG: I got inspired to make self-portraits by girls whose self-portraits I saw on the photo sharing site. And my surroundings had a great impact on what I created. YG: People who make something beautiful seem effortless. LL: How important do you see culture within creativity? YG: I don’t see it as very important. Sometimes, or even probably most times, creativity is derived from cultural contexts. But for me, creativity is more of a natural feeling such as sadness or happiness and is more connected to the physical world. LL: So do you use music as a point of reference for your work and if so, what pieces inspire you most? YG: I don’t really use music as a point of reference for my work, but in general when I listen to certain music it instantly motivates me, makes me want to go to a photo adventure. And I always like taking pictures (self-portraits) with music on the background. Even outside there are times when possible I turn music on using my phone. My favourite band would be Friendly Fires. YG: When I see talented artists who take negative criticism on their work seriously and feel like they should stop creating or showcasing their work. LL: That’s true, it seems heartbreaking to think how many lost works we have missed due to fear or lack of esteem form an artist. So in terms of this world is there another culture in particular which your curiosity is drawn to? YG: Yes, definitely Mexico. I hope that one day I’ll have an opportunity to create some interesting images there. LL: There is a side to your images that reflect nature, and you within it. Almost merging the two together between yourself and your surroundings. As an artist, what terrifies you? YG: Not to have an opportunity to create, for instance, war and losing my sight.